Wrapped in gorgeous brown and black faux padded leather, this rectangular wall mirror is a beautiful way to enhance a room. This wall mirror has that touch of elegance and posh that speaks volume of affluence and power. 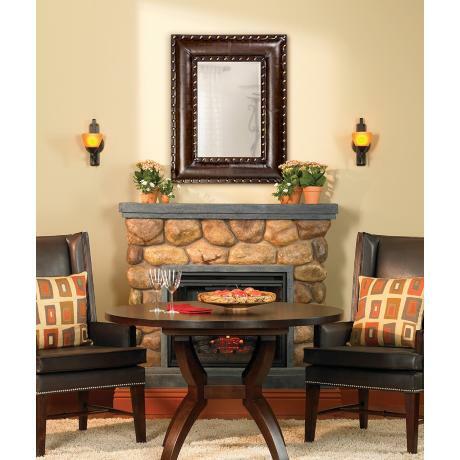 The perfect mirror to hang in the den or the family room. You can never go wrong with this mirror because anywhere you hang it, comes that inherent touch of class, elegance and style! This is how this mirror will look on your wall! - Brown and black faux padded leather.